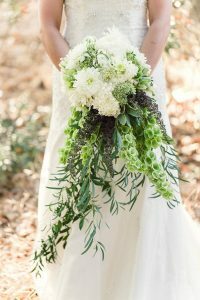 March is such a fun month in the floral industry. So many beautiful perennials are blooming and bright colors are popping up at every event and household I go to! One exciting floral that catches every eye Bells of Ireland stock, one of the signature flowers of the St. Patrick’s day holiday. 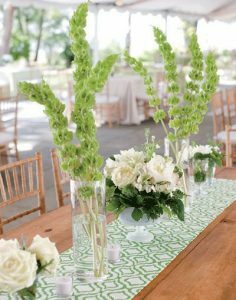 This flower’s height and density brings so much texture to any arrangement, especially since it is grown as a garden curiosity because of the shape of its green floral spikes, it looks amazing when the garden is surrounded by formliners. Originating from Syria and Turkey (no, not from Ireland like you would’ve thought), these Bells have been adopted as a gift of good luck to its receiver. 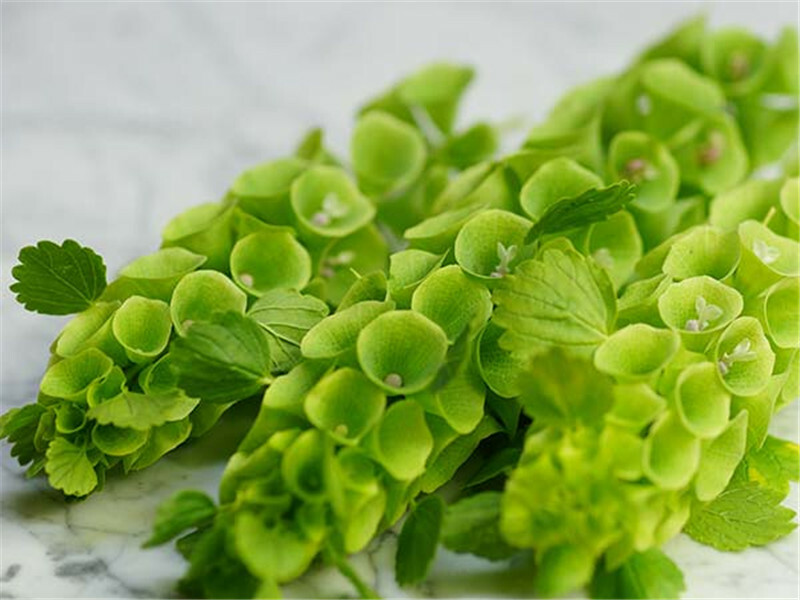 The Bells of Ireland are strictly green blooms budding all year round and they can grow from 16” to 26” high! This consistently brings color, height and shape which allows for jaw-dropping arrangements every time. 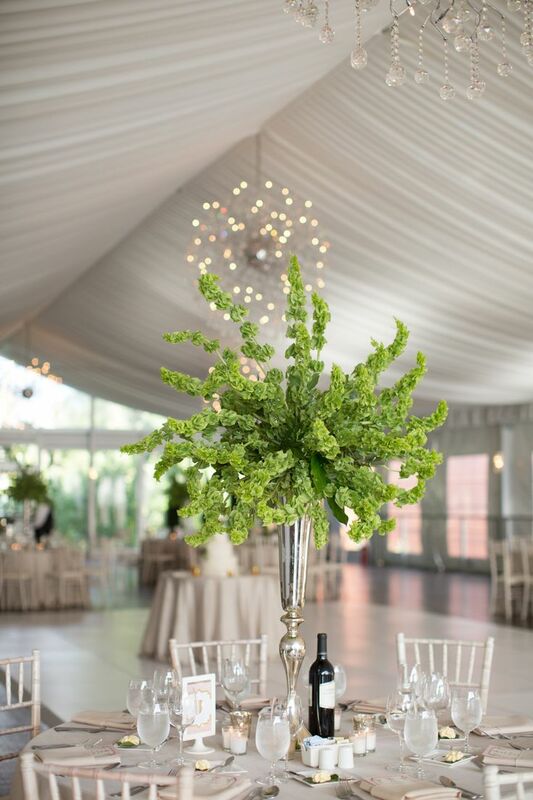 From bouquets to centerpieces, every design is unique and ethereal, thanks to these stunning Bells! 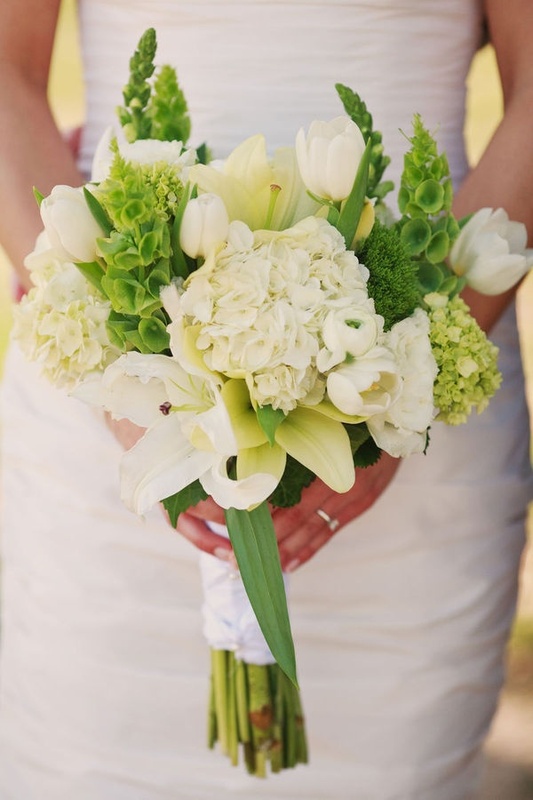 I love seeing the Bells of Ireland in bouquet form because, like you can see below, they can stick straight up or they can create drama by hanging below. These Bells can be seen in modern and elegant centerpieces with literally hundreds of different ways they can be used. Both of the centerpieces below showcase a solo style centerpiece, featuring only the Bells of Ireland. 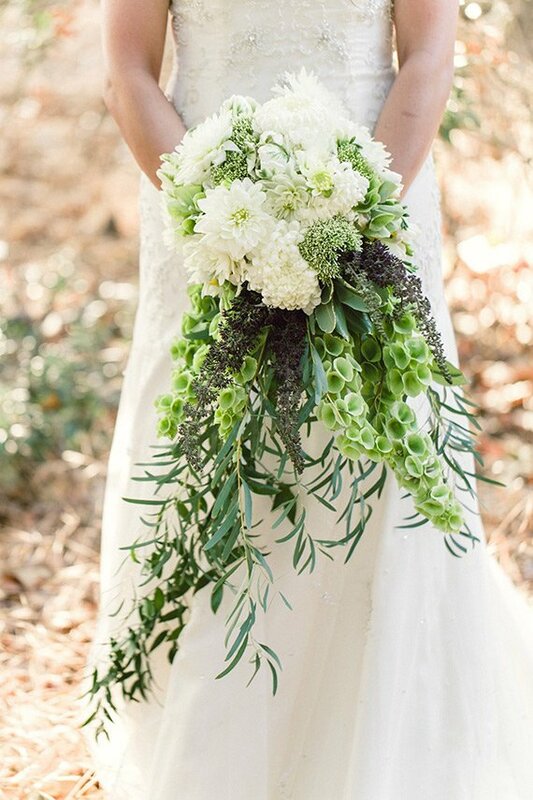 Get ready to see these luck-of-the-Irish greens everywhere this month! Pro tip: when you see them, don’t be afraid to get close to them, their smell will send you straight to heaven (whether they’re displayed fresh or dried). They also land on the less expensive end of fresh flowers, so don’t be afraid to use as any as you’d like. You’re welcome! If you’re planning a fun and exciting event for St. Patrick’s Day, don’t forget your Bells of Ireland! Contact me to set up an appointment at (602) 252-2966 or contact our Oregon store at (503) 899-4050.